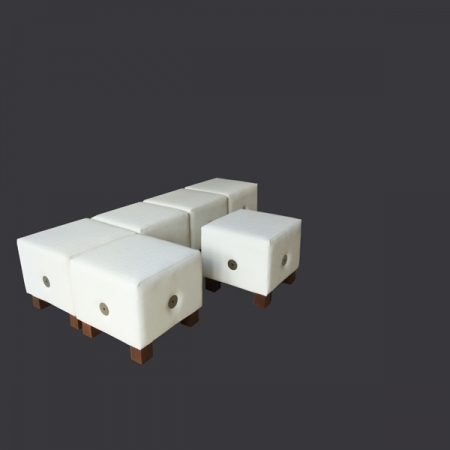 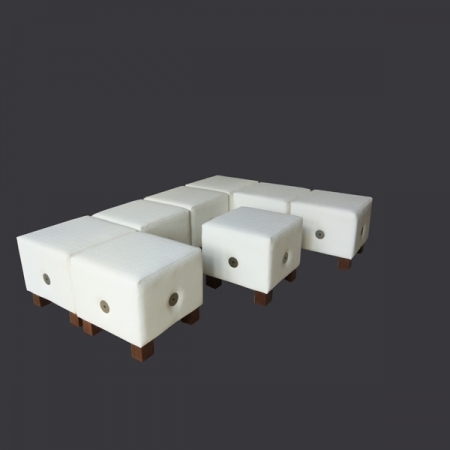 Furniture system made up of 3 basic shapes, linked together to create chosen seating layout. 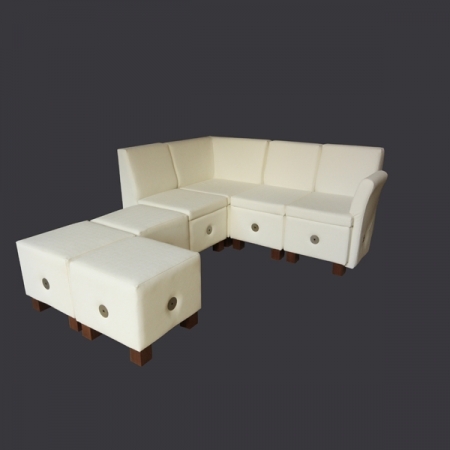 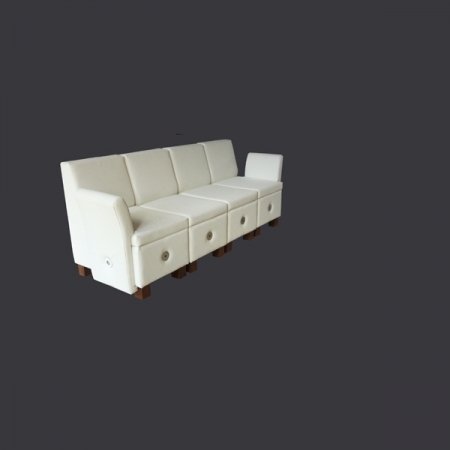 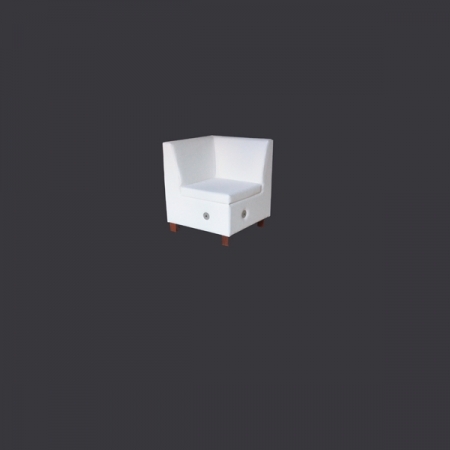 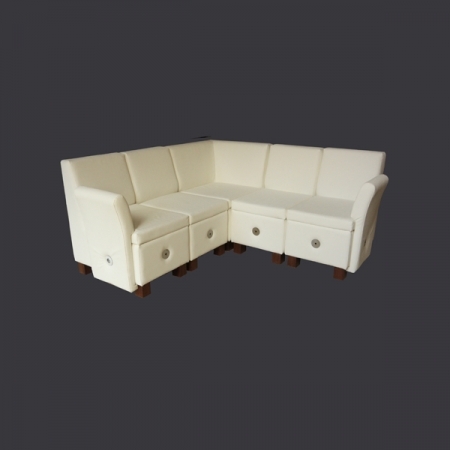 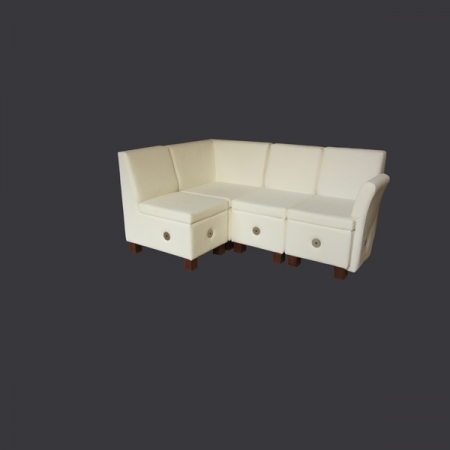 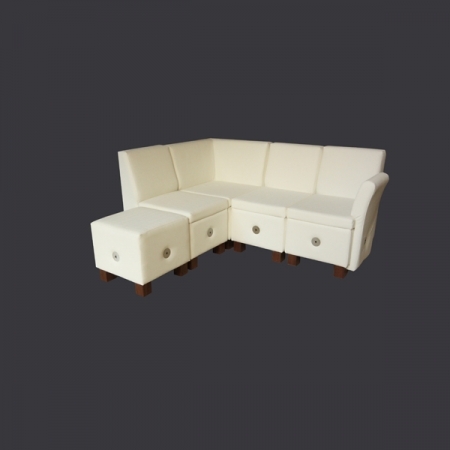 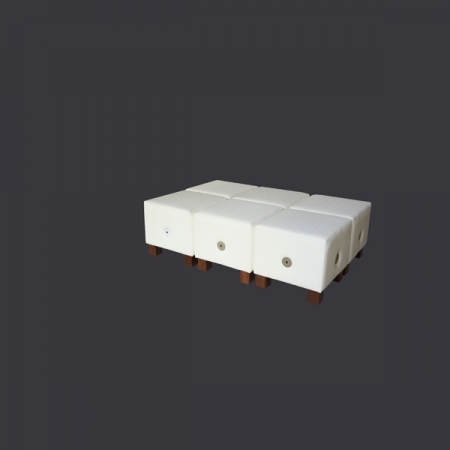 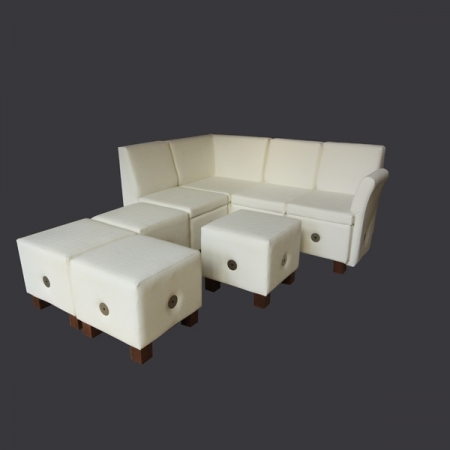 White snakeskin faux leather, hardwood stained legs, stainless steel flange fixings. 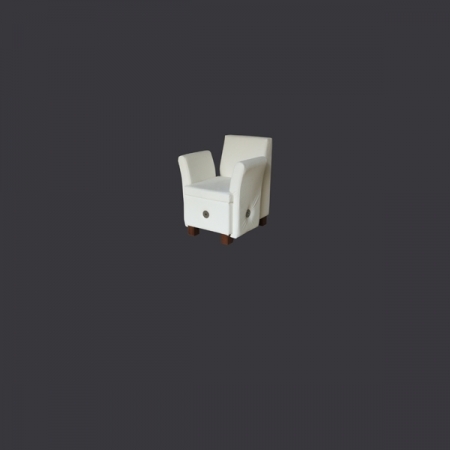 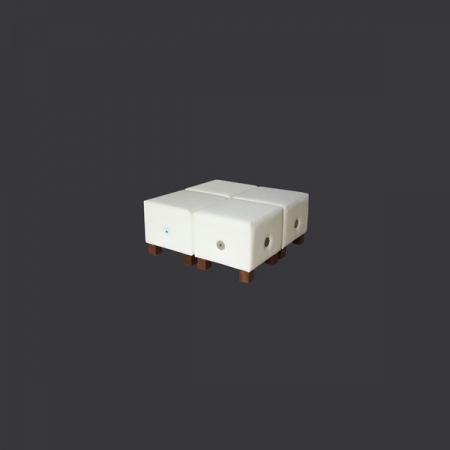 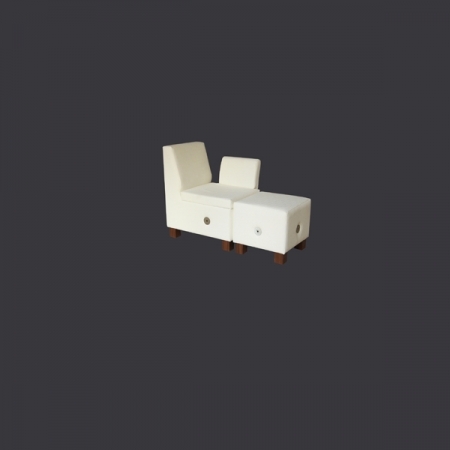 Additional components: upholstered arms for chair and glass table top.